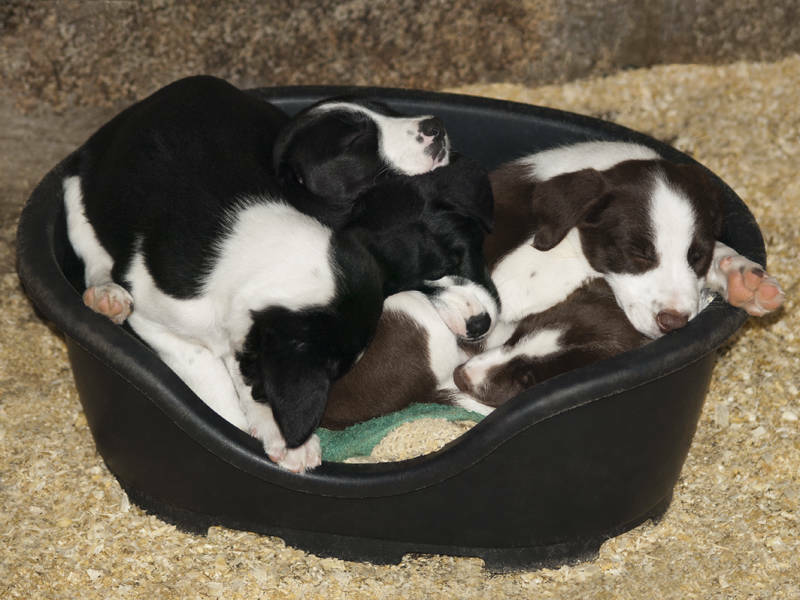 These puppies were photographed on a family holiday to Wales in 2010. They are either Border Collie Sheep Dogs or Jack Russell Terriers. If you know please leave a comment. The main task for this image was to manually remove all the dirt. Like juveniles worldwide their ability to attract debris seems to defy the laws of physics. Fortunately Photoshop has a variety of tools for removing dirt. Some of them are legacy tools for people who have grown up on earlier versions of Photoshop. If you have the latest version of Photoshop CS5 you cannot beat the speed and accuracy of the Spot Healing Brush Tool set to Content-Aware. Although it is much improved the auto sampling does sometimes get it wrong. In these situations use the Clone Stamp Tool and define your own sampling area by holding down the alt key. The full resolution version of this image was accepted at Shutterstock 8hrs after submitting. Was that a Wales one? Yes it was the open farm we visited.